New deep learning tools analyze road behavior to improve traffic flow and identify dangerous intersections. Look above the traffic light at a busy intersection and you will probably see a camera. These devices may have been installed to monitor traffic conditions and provide visuals in the case of a collision. But could they also help planners optimize traffic flow or identify the sites most likely to have accidents? And can they do so without requiring individuals to slog through hours of footage? No one likes a traffic jam. 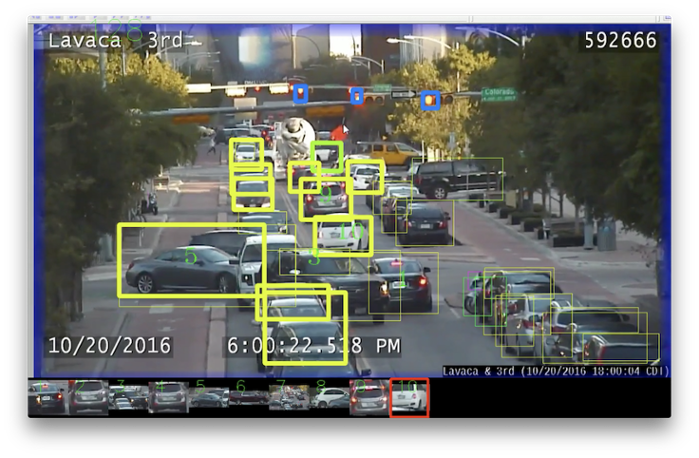 Congestion on Austin's streets may soon improve, thanks to AI that can crunch data from the city's traffic cameras. Courtesy TACC. Researchers from the Texas Advanced Computing Center (TACC), the University of Texas Center for Transportation Research (CTR), and the City of Austin believe so. Together, they are working to develop tools that allow sophisticated, searchable traffic analyses using deep learning and data mining. 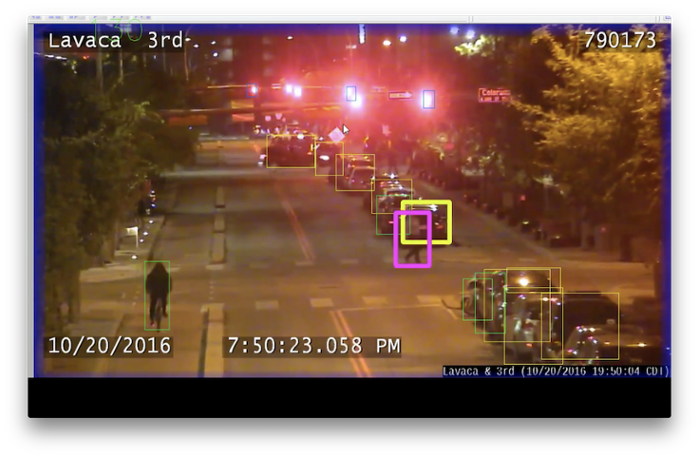 This new tool uses raw traffic camera footage from City of Austin cameras to recognize objects – people, cars, buses, trucks, bicycles, motorcycles and traffic lights – and characterize how those objects move and interact. The information can then be analyzed and queried by officials to determine, for instance, how many cars drive the wrong way down a one-way street. The algorithm they developed for traffic analysis automatically labels all potential objects from the raw data, tracks objects by comparing them with other previously recognized objects, and compares the outputs from each frame to uncover relationships among the objects. The team used the open-source YOLO library and a neural network developed by University of Washington and Facebook researchers for real-time object detection. For the data analysis and query component, they incorporated HiveQL, a query language maintained by the Apache Software Foundation that lets individuals search and compare data in the system. 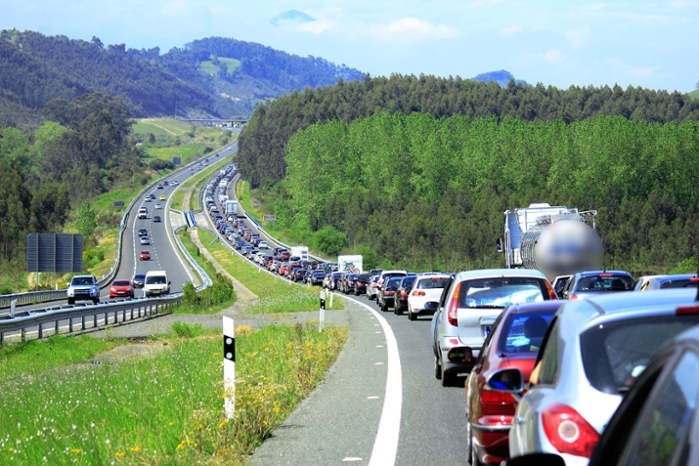 Understanding traffic volumes and their distribution over time is critical to validating transportation models and evaluating the performance of the transportation network, said Natalia Ruiz Juri, director of the Network Modeling Center at CTR. "The City of Austin is committed to ending traffic fatalities, and video analytics will be a powerful tool to help us pinpoint potentially dangerous locations," said Jen Duthie, a consulting engineer for the City of Austin. "We can direct our resources toward fixing problem locations before an injury or fatality occurs." The researchers plan to explore how automation can facilitate other safety-related analyses, such as identifying locations where pedestrians cross busy streets outside of designated walkways, understanding how drivers react to different types of pedestrian-yield signage, and quantifying how far pedestrians are willing to walk in order to use a walkway. "Deep learning has quickly become a very hot topic in recent years for computer science researchers and the technology industry," said Xu. "However, its adoption for other fields has lagged behind. This is partly due to its very high computational requirements in both the training and prediction stages. Thus, utilizing high-end hardware and high-performance computing resources is crucial for providing practical solutions for complex real-world problems, especially those involving large-scale data." Frameworks like the one proposed by the researchers can expedite research traditionally based on manual video data analysis, and promote further work on video data application and integration. Read the original article on TACC's website here.